This month’s RPG Blog Carnival is hosted by a blog I hadn’t come across, before, Triple Crit. The subject is Writing in RPGs, a really interesting topic and one that really suits the blog, which is packed with articles and tips on writing. It’s certainly one I’ll be following in the future! One of the key reasons I started this blog was to stimulate more regular writing, with the hope that this would also result in more attention to the needs of my campaign world, Tolrendor! I’ve been running a 4E D&D campaign in this setting for my kids, and that has inspired me to get back into my world, updating it to the new ruleset. So what are the types of writing I use and enjoy in the RPG hobby? Long before I discovered RPGs in the early 1980s, I was an avid consumer of fantasy fiction, stimulated by my father reading us the classic Narnia series and the Hobbit around the dinner table. This in turn got me hooked on world-building: drawing my own world maps and describing the nations, creatures, and armies (especially armies – war gaming and military history being my other hobbies at the time!). This lead onto attempting to write my own stories, although I’m not sure I ever managed to persevere in this long enough to finish anything! Eventually, along came D&D, and pretty quickly I became most interested in DMing. This was heaven – I got to draw maps, and write – and these have always continued to be the most important parts of the hobby for me. I do enjoy playing the game, but in many ways the endless hours spent creating Tolrendor are the real pleasure. My D&D inspirations quickly became the World of Greyhawk and the Forgotten Realms boxed sets, and I set out to craft a world as detailed and complete as these settings (hmm…). Back then, it was all handwritten notes, which I still have, and am in the process of updating with modern technology and rules. My goal is to one day have a full Gazetteer of my world – but of course I’ll never make it, as there’ll always be more to write! 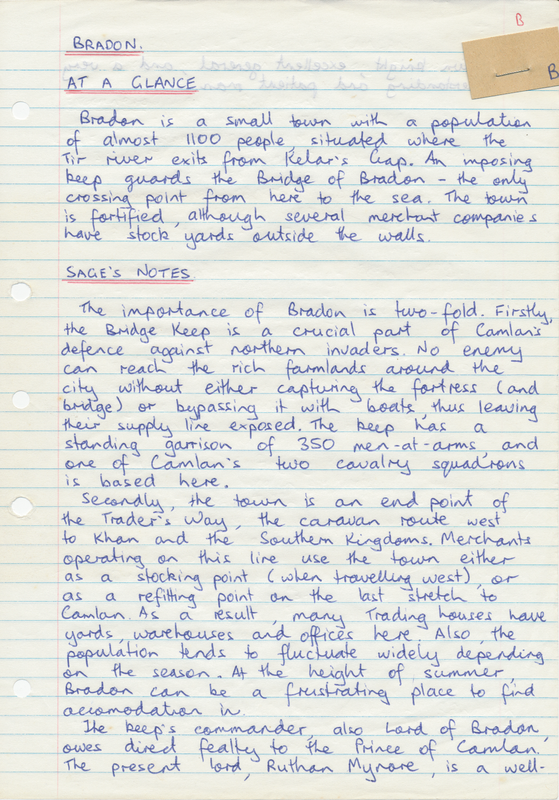 Another favourite writing mode is campaign history – I’m a sucker for this in any published setting, and it’s one of my favourite types of writing as well. In Tolkien’s Lord of the Rings saga, one of my most read and re-read sections was not the story, but Appendices A and B, which painted a picture of the vast sweep of Middle-Earth history down the ages of the world. This was the inspiration for much of my ‘historical’ writing about Tolrendor; another was the ‘Times Atlas of World History’ – obviously connecting my love of maps and writing!! 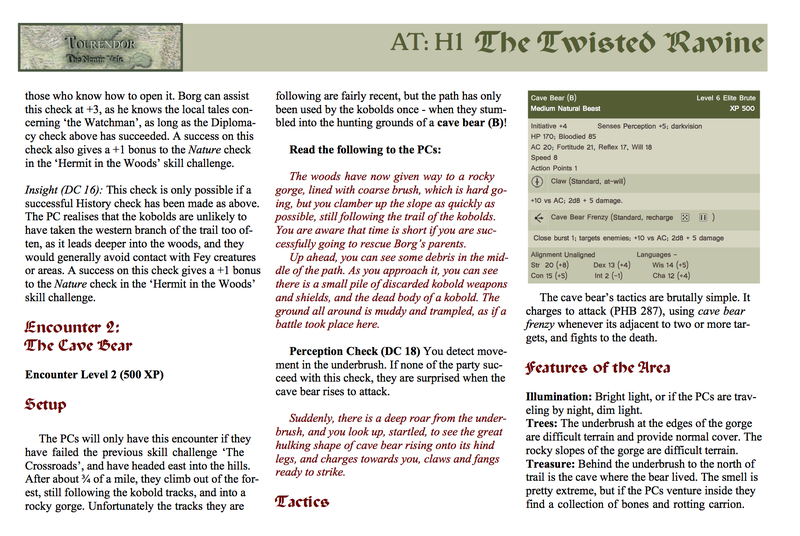 This entry was posted in RPG Blog Carnival, Self-publishing, Tolrendor Gazetter, World Building. Bookmark the permalink. Reblogged this on Self-Publishing Advocate.